The year is 1955. December 1st, 1955. The lady is Rosa Parks. 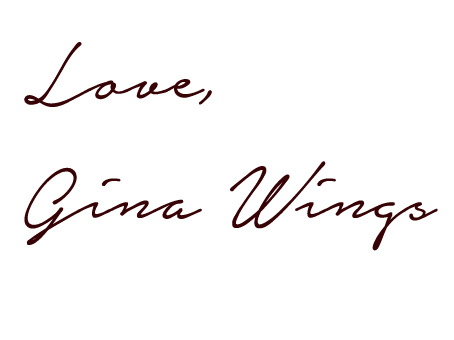 This simple act of bravery was just the first in many to come… indeed, it took extraordinary courage for her to stand by her decision in the minutes, days and years that followed. And indeed there was the strength, serenity and decisiveness of many years of segregation and mistreatment that boiled in her that evening, which made her stand up to her, seemingly instant, decision. 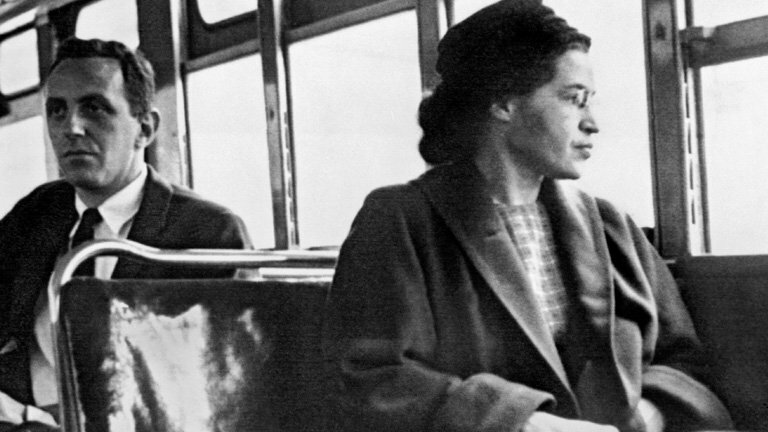 Rosa Park’s defiance of an unfair segregation law forever changed the race relations in the United States. 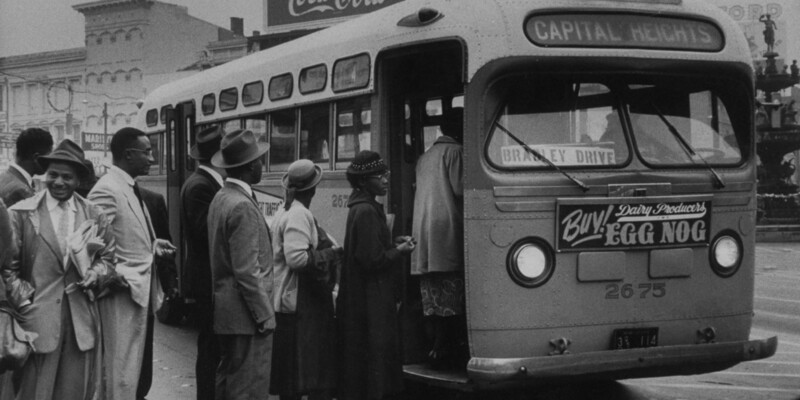 The Montgomery bus boycott led the U.S. Supreme Court to outlaw racial segregation on public buses in Alabama. 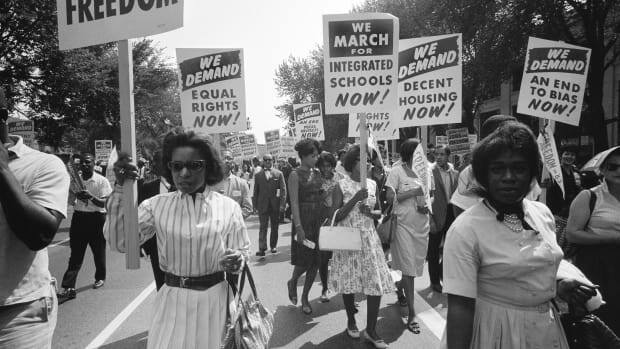 This was the beginning of The civil rights movement led by Martin Luther King, Jr. – the movement that will prompt the laws against racial segregation, the most prominent the Civil Rights Act of 1964 and the Voting Rights Act of 1965. 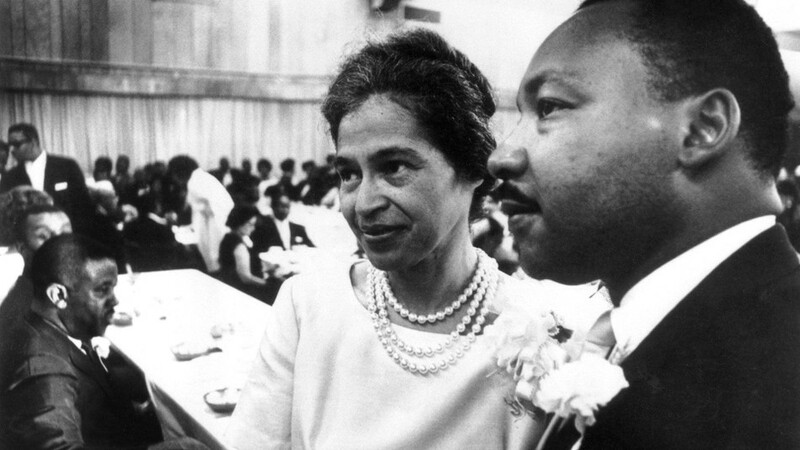 Rosa Parks and Martin Luther King Jr.
That distant evening on December 1st, 1955, Rosa Parks’ simple act of extraordinary courage will ignite what will become one of the greatest social revolutions in modern American history.